LIMA, Ohio -- Prison officials were warned about an escape the day before three inmates, including a school shooter who killed three students, scrambled over a fence for minutes or hours of freedom before being recaptured, the union representing Ohio guards said Friday. A message was left with the Department of Rehabilitation and Correction. Lane, 19, was caught only about 100 yards from the prison by two state troopers at 1:20 a.m. Friday. A second prisoner had been caught almost immediately, and troopers apprehended the third three hours after finding Lane. 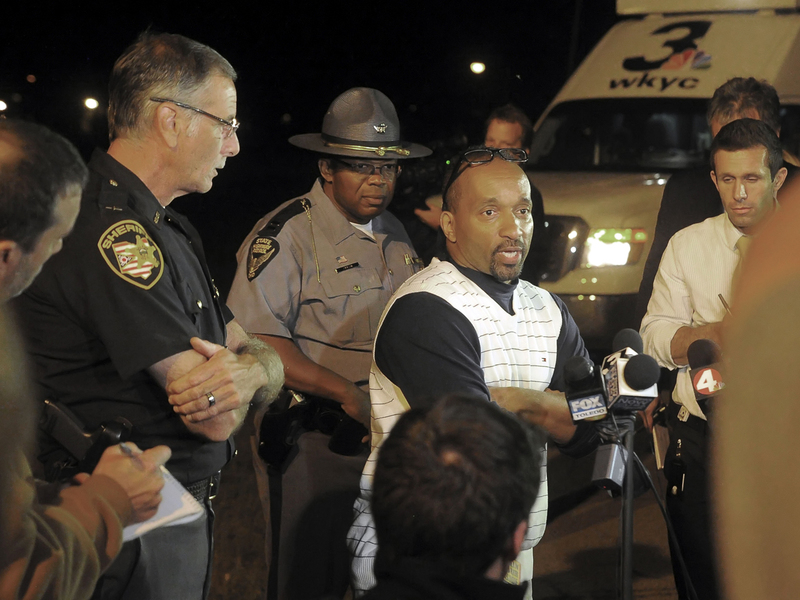 Police officers were sent late Thursday to guard the homes of the families of Lane's victims. School officials canceled classes Friday and made counseling available for students and the larger community. The escape occurred at Allen Oakwood Correctional Institution, a minimum- and medium-security prison in Lima about 80 miles south of Toledo. An April inspection by the committee noted ongoing security concerns at the unit. Security management "remains a concern, both in terms of how the higher security inmates are handled, as well as discipline for misconduct," according to a May report by the Correctional Institution Inspection Committee. A message was left Friday with the state prisons agency. The state had eliminated some security posts at the prison five years ago, the union said. Warden Kevin Jones said he saw Lane after he was captured and that the teen did not say anything. An investigation is underway to determine how the men, who were outside for recreation, managed to climb over the perimeter fence, the warden said. Russ Hill, who has lived next to the church for two decades, said deputies alerted him about the escape and he spent the next six hours sitting in house in the dark with a gun at his side as dozens of officers searched the area with flashlights and spotlights. Authorities confirmed the third prisoner was taken into custody around 4:20 a.m. Friday but didn't immediately release how or where. That prisoner was identified as 45-year-old Clifford Opperud, who was serving time for robbery, burglary and kidnapping. Lane pleaded guilty last year to aggravated murder charges in the shootings at Chardon High School. He said he didn't know why he shot the teens. Reached Thursday at her home in Chardon, Parmertor's mother, Dina, said she was disgusted that Lane had escaped.